Austin Avuru, Chief Executive of Seplat, Africa’s largest homegrown E&P firm, most vividly remembers the day the company lost the bid for Oil Mining Lease (OML) 29 in eastern Nigeria. “That was one of our lowest points in this company because the acreage was going to be a company changing asset for us: it was going to give us the size that we seek”, Avuru reflected, in his office in Lagos, Nigeria, recently, as he prepared to celebrate a milestone that ties his own personal growth with Nigeria’s 60 year trajectory as an oil producing nation. OML 29 is a sprawling, highly valuable property, spanning an area of 983 square kilometres (or 242,550 acres) onshore and holding some 2.2Billion barrels of oil equivalent, in proved and probable (P1+P2) reserves, in nine fields, according to a 2013 Competent Persons Report by NNS . To put some context to the figures: Seplat, today, produces, on a gross basis, slightly higher than 60,000Barrels of crude oil and condensates and 400Million standard cubic feet of gas from five acreages, whereas OML 29 alone produces over 80,000BOPD, when there is no vandalism of evacuation pipeline. “We had the cash on the table but we did not win OML 29. We were only a hundred million dollars away from Aiteo’s bid (to Shell, which was leading a divestment of itself, TOTAL and ENI from the tract). It was insignificant because we were talking about a $2.4Billion bid and $100Miilion was less than 5% of that, so it was insignificant”. Avuru wonders whether the inability of Seplat to clinch OML 29 wasn’t due to “the politics of who Shell figured would more easily get the approval for the purchase” from the Nigerian government. “Otherwise they” (the company which won the asset) “couldn’t pay for one year after they got it, while we were going to write our cheque immediately because we had our money ready”. It was the loss of OML29 that made such acreages as OMLs 25 and OML 55 important to Seplat, Avuru noted. “All these issues about OML 25 and OML 55 came because we lost the big fish”. His disappointment about OML 29, Avuru explained, pales in comparison with a particular challenge he had faced when he was building Platform Petroleum, a marginal field operator. This was before he helped bring Platform, Shebah Exploration and M&P together to create Seplat. “The biggest setback was the day I woke up and found out that cellar of the appraisal development well that we were drilling in Umutu had collapsed. We borrowed $10Miilion to drill that well and supplemented with our cash and in the end, the well cost us $19Million. We borrowed $20Million for the gas processing plant and our production was declining and we couldn’t borrow more. We were almost in the throes of death. This was in 2009 and that was when I scratched my head and thought ‘this is it’. The only thing that came to our aid eventually was the pipeline network that we had built all by ourselves to the cluster”, he recalled, referring to a cluster of four oil fields in the Western Niger Delta, which evacuate their crudes into Platform’s facility. “The Ase River Pipeline was generating about $2Miilion in gross revenue in tariff every year. So that revenue stream was enough to negotiate a revolving credit facility with Skye Bank for $5Million. It was that money that we eventually used to work our way back to life”. Not all of the huge regrets of Avuru’s life in the last 15 years were business related. “One of the biggest potholes I have had was the day I lost my wife in 2005 after the two of us had inspected the site where we (Platform Petroleum) were building our flow station in Umutu and so on”. “And then the day I had to open my kitchen door to inform my wife that her 57-year-old father, who had been accidentally shot by a police man and was in the hospital, had died. “I think those were probably my lowest points in the past 15 years”. Otherwise, much of the path Avuru had travelled, since he left the NNPC in 1992, had been strewn with gold. At least, so it seems. 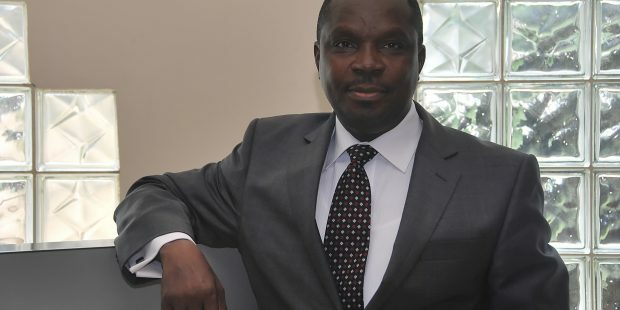 Since he left NNPC as a star geoscientist (by his own account), Avuru had worked for Kase Lawal’s Allied Energy (which became Erin Energy, and has since ceased to be a going concern) and moved on to set up Platform Petroleum, from which platform he became the Chief Executive of Seplat, the only African indigenous E&P Company to be listed on the main board of the London Stock Exchange. In the last 12 years he had been nominated by two successive Nigerian Ministers of Petroleum for the position of the Director of Petroleum Resources and had come terribly close to being appointed to the position of Group Managing Director of the NNPC, the hugely influential state hydrocarbon company. “I had a one-on-one interview with (President) Yar’Adua”. To mark his 60th birthday on Friday, August 17, 2018, Seplat Petroleum’s management wove a theme around the fact that Avuru was born in the year that Nigeria first exported crude oil. An industry stakeholders lecture, at a princely venue overlooking the Atlantic, entitled 60 Years After: Preparing For A Nigeria Without Oil, was attended by over 300 people, a glittering gathering featuring the country’s top business brass, C-Suite level petroleum executives, energy bureaucrats and ranking politicians. This publication wishes him many more fruitful years in the service of his country. Angola will host two of the 60 brand new rigs expected to be deployed worldwide in 2010. Saipem 12000 is one of Saipem’s three rigs due to leave the yard this year — one drillship and two semisubmersibles — all of which are contracted. The Saipem 12000 drillship is under construction in the Samsung yard in South Korea and is expected to leave the yard by February 2010. It will work for TOTAL off Angola through February 2017, at an undisclosed dayrate Transocean has four drillships under construction; all of which are contracted. One of them, The Discoverer Luanda is an enhanced Enterprise class rig. It will be completed in early-2010 and go to work for BP off Angola for seven years ending in 2017 in the low- $430s. EXPRO, THE OIL SERVICE FIRM, HAS won contracts valued at over $60 million in the last six months in West and South African regions. The contracts cover a range of offshore deepwater projects and services and would be delivered on phases over the next three years. The work involved include provision of offshore deepwater technology for Chevron, Agip, Shell in Nigeria as well as increased scope of work from BP deepwater in Angola, as well as for TOTALl and Noble Energy in Cameroon. Another set of contracts were secured in North Africa, including BP and BG in Algeria and Libya together with multiple well- testing contracts in Egypt. MARTYN MNDERHOUD LOOKED up briefly from the presentation and faced the audience. “Somebody said that Zabazaba was a discovery”, he said. “Well, I don’t know”. Then almost immediately Shell’s Vice President for Exploration and Production in Africa put up a series of slides, indicating that Shell considers Nigeria the best place to look in its deepwater portfolio worldwide. The scene was the banquet hail of the Sheraton Hotel in Abuja, at the conference of the Nigerian Association of Petroleum Explorationists(NAPE) in November 2006. In the last three years (2003-2006) almost everyone has lamented the lack of success in ultradeepwater Nigeria. But not Shell. The Anglo Dutch giant has always had a successful story. Shell reported in 2006 that Bobo -l in OPL 322, encountered some 120m of hydrocarbon. Indeed, in his paper, (See illustration) Minderhoud declared Bobo-1 as a “fat cat” discovery. Bobo is located squarely in the ultradeepwater, outboard of 1 ,700m water depth, and its location is not in the Outer Toe Thrust(OTT)Belt area, which has proven quite problematic in terms of structuration for holding hydrocarbon. But if the general rule has been that the farther and deeper from 1 ,600metre water depth you get, the less likely you are to find a significant hydrocarbon tank, then Shell has proven an exception to the rule. Agip’s Dou-1 and Emein-1, OPL 244, both drilled in 2,000m of water encountered marginal gas. Chevron’s Iroko- l(in 2000m WD) in OPL 250, was as much a disappointing story as Phillips Onigun- l (2,200mWD) in OPL 318, Petrobras’s Erinmi-1(2,300mWD) in OPL 324 and Ocean Energy’s Pina-l (in 2,500mWD), which encountered some gas and Tan-1 (2,000m WD) in OPL 256. While Minderhoud abstained from outright declaration of Zabazaba-l ( 2,000metre water depth) as a discovery, the company has gone ahead to drill Zabazaba 2, an indication that the first well, at least, opened doors to possibilities. Outside the rank wildcat area, Shell is proving up more oil in fields already established. The January 2007 edition of AAPG Explorer, the influential in house magazine of the largest grouping of earth scientists on the globe, cites Bonga North 2X, as one of the four major discoveries in subsaharan Africa in 2006. Bonga North 2 X is the dual leg appraisal to the Bonga North 11X discovery in OML 118, where the Bonga main, (the main field of the Bonga structure) is producing over 200,000BOPD, or at least 8% of Nigeria’s entire production, today. AAPG Explorer says that “Shell is trying to prove up enough reserves (500MMBO+) that could lead to Bonga North being developed separately from Bonga”. But Shell sources say that the Bonga North field will be tied to the FPSO of the Bonga main. Meanwhile, plans have progressed with Chevron to develop Bonga South-West/ Aparo (Chevron’s Aparo wells probed the same sands as Bonga South West, hence a unitization proposal). This means two projects of some 1 50,000B0PD each, at peak, apart from Bonga. Translation; on the Bonga structure and its satellites alone, the company is going to be exploiting, by 2015, three fields delivering a total of at least 500,000BOPD. One key beneficiary of this is ExxonMobil, who holds 43.7% interest in OML 118. The company will be rewarded whenever these fields come on stream; and it doesn’t even have to lift a finger. Shell itself has 43.7% in ExxonMobil’s OML 133, which hosts the Erha and Erha North fields, producing 230,000BOPD today. The two largest oil producers in Nigeria thus currently deliver close to 500,000BOPD, roughly one fifth of the country’s total production, from deepwater. ExxonMobil’s rich pickings apart, Nigeria has made a rebound in exploration effort in deepwater, an indication that the overall pessimism that hung over the terrain two years ago, is wearing off. Eleven wildcats were spudded in deepwater Nigeria in 2006, a figure which is higher than all the exploratory wells drilled in both shallow water and land last year. Chevron’s Obo 1 is one play that may put to lie the perception that the outer toe thrust belt is a no no. AAPG Explorer reports that the first deepwater well in the Joint Development Zione (JDZ0 between Nigeria and Sao Tome et Principe, “encountered a cumulative 45 metres of net hydrocarbon pay in multiple reservoirs”. The magazine said: “Reserves are runmoured to be not as large as expected, leading to speculation that the well was not sited at the most prospective location but rather on the edges of a major structure to check its extent”. As new discoveries show up with less and less reserves than the first set of discoveries, in just 10 years of exploration, there is a spirited debate on the knowledge base regarding the thrust belt features in the Niger Delta deepwater. The discovery of the Chinguetti field, nestled in 800 metres of water off Mauritania, called attention to the country as a prime destination for oil and gas explorationists. But the initial skepticism of the size of the Mauritanian play, among earth scientists, especially in major companies, seems to be returning, with the spate of dry holes witnessed in the country in the last one year. So when the UK operator Dana Petroleum abandoned wildcat Aigrette 1 as an oil discovery in the offshore Block 7 last December, it was a welcome breath of fresh air in an environment that had started becoming suffocated with news of disappointing encounters. THE MOST CURRENT NEWS on the West African fairway is that Equatorial Guinea is trying to be a large gas supplier to the United States. It makes a lot of sense, considering that progress is not as vigorous as it used to be in the deepwater- until recently- the country’s core hydrocarbon business. There has been little significant development on the exploration front in deepwater Equatorial Guinea since 2005. In the only exploration well drilled in 2006, operator Chevron plugged and abandoned L-2, its second (wildcat) well in Rio Muni’s Block L in May 2006, after failing to encounter hydrocarbons. L-2 was drilled on the Banyan prospect, with the hope of testing the hydrocarbon potential of a Campanian reservoir. The well is located in 1,980m Water Depth. It went a further 2,000 meters to TD at 4,076m. Block L is located in the Rio Muni Basin. It covers 2,584 sq km west of Devon’s Block P and includes grid blocks I-15, I-16 and part of blocks J-14 and J-15. The tract was reduced by 40% upon renewal in October 2005. The company almost immediately indicated that it was walking out of the block and by implication, out of the country.